We interrupt our regular programming to bring you ... dumplings! 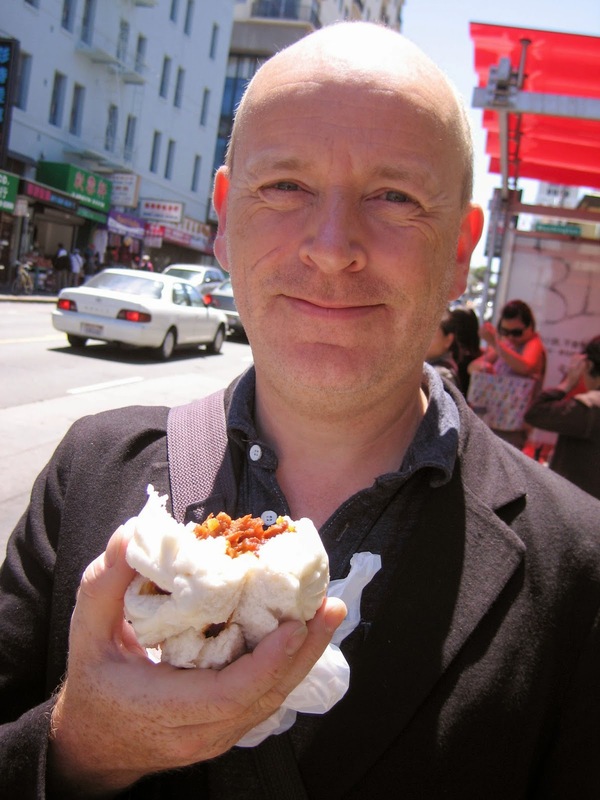 Now, what place do dumplings have in a blog that's supposed to be about American food? Well I could justify it by saying that the three best Chinese meals I've ever had have been in the US - including one of my best meals full-stop. To be honest, though, it's more about wanting to share a delicious lunch I've just had - especially as things have been a little quiet on this blog recently. These little pockets of perfection came from a stall on Cambridge market - a stall that has no name, but is simply a few gas burners, a wok, a scratched formica table and a few plastic chairs. 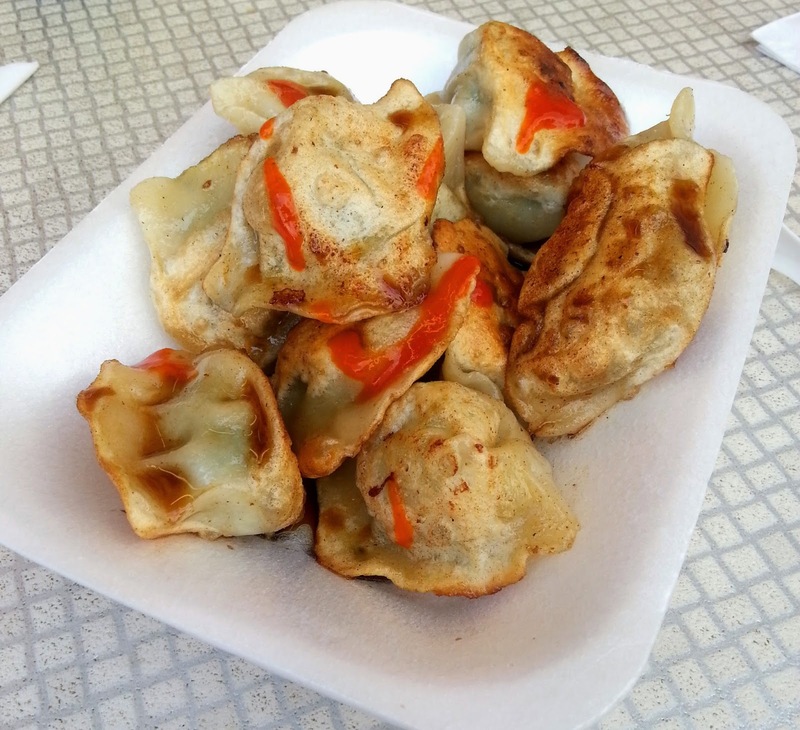 You choose from 5 or 6 different types of dumpling, and then for another 50p you can have them fried. This delectable dozen of pork and chive cost me just a fiver. I did what the Chinese couple next to me did - I added a liberal splash of vinegar from the bottle on the table, a drizzle of hot chili sauce and tucked in. Absolutely delicious. I have no idea how long this stall has been there, or how long it will be there for - so if you live in Cambridge, get down there as soon as you can. But please leave some dumplings for me! So what, I pretend to hear you ask, were those three Chinese meals you had in the US?. 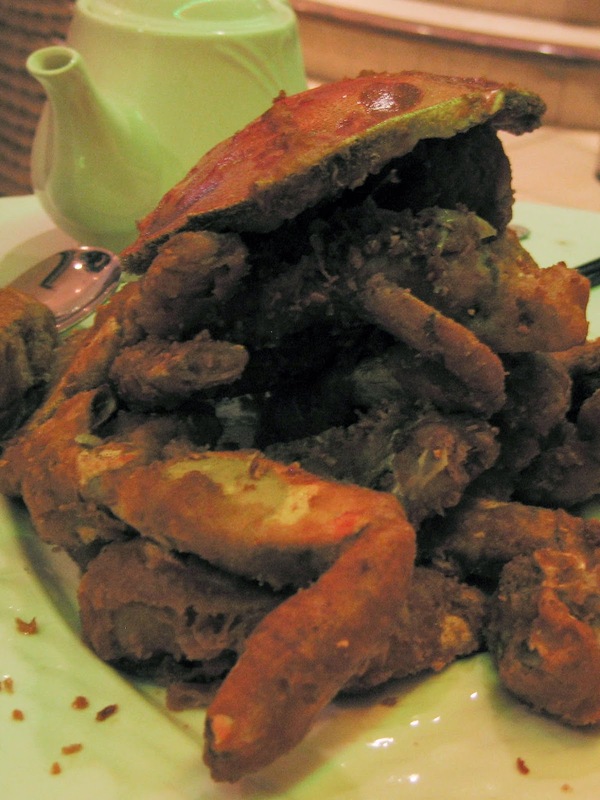 Well, all three were in San Francisco - and first, the salt and pepper crab at the R&G Lounge, was one of the best things I have ever eaten. We arrived knowing it was a 'must order', and were bemused when the waiter walked away halfway through us listing our side dishes. He knew what we didn't - if you order the crab, you'll need nothing else. It's messy, primal food - I'm discovering how many of my top dishes are eaten with my fingers - salty, crunchy, crabby goodness. Rather than listen to my amateur hyperbole, watch this video of Anthony Bourdain doing it properly. Oh, and Anthony's right, you have to have a lychee martini. And finally, a very honourable mention for the Good Mong Kok bakery on Stockton Street. They offer huge and freshly steamed pork buns for just pennies, and I love them. So, Cambridge dumplings, you provided me with a flood of nostalgia for San Francisco's chinatown - maybe I'll try and go back in 2015. But also I must try more of Cambridge's home grown Chinese food. We now have a mini Chinatown on Regent Street - I can think of at least five restaurants that have sprung up in recent years to serve our every growing Chinese community. If they're even half as good as San Francisco, I'll let you know!